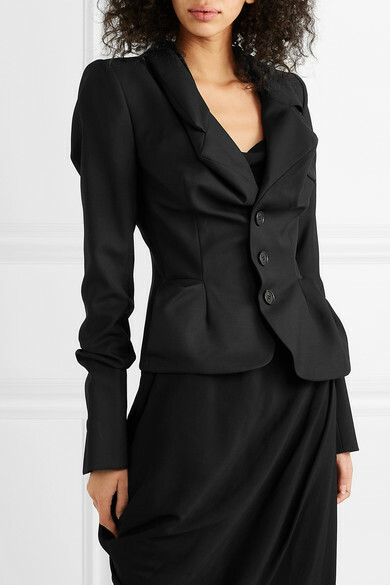 Vivienne Westwood is famously quoted as saying that she's proof you can't throw away tradition, which is why classic designs like this blazer have such timeless appeal. 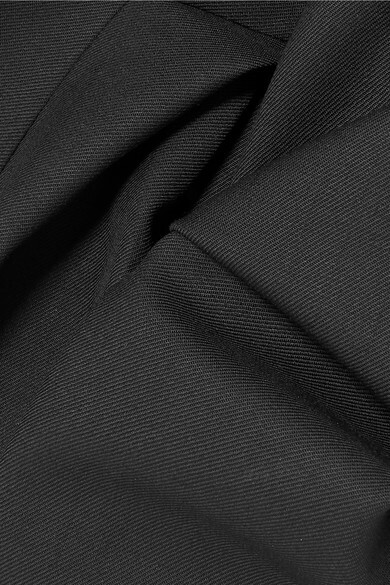 Tailored from black wool-twill, it has padded shoulders and is pinched at the front and sleeves. Style yours with tonal pants or something lighter to showcase the asymmetric hem. Shown here with: Vivienne Westwood Dress, Givenchy Shoulder bag, Alaïa Sandals.